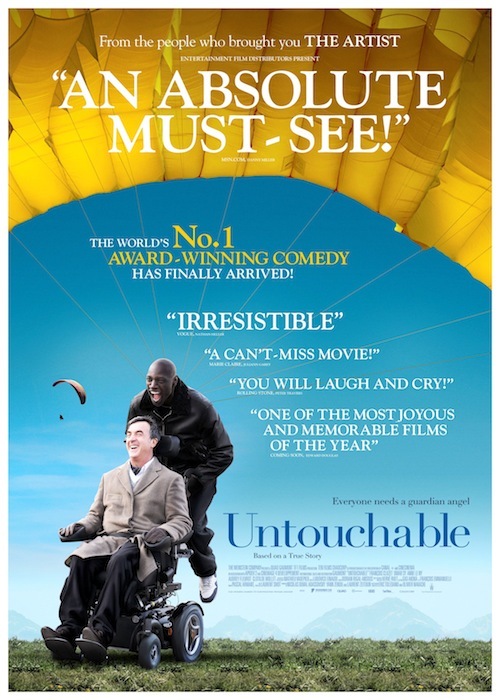 We’re delighted to bring the first foreign language film to the big screen in Llancarfan, with France’s second highest grossing film of all time: Untouchable (Intouchables in the original). The film, which loosely retells the true story of a wealthy, white quadriplegic cared for by a street-smart African man, was France’s official entry to the Best Foreign Language Film category at the 2013 Academy Awards. Though it didn’t win, the film has collected armfuls of other accolades and an ever-growing legion of fans around the world. Untouchable offers a warm, funny and uplifting view of the world, which is just what’s needed on a cold, late November evening. Don’t let the prospect of subtitles put you off: you’ll be captivated from the very first scene.